In response to WP Weekly Photo Challenge: Story. Not much of a photo, but a potential for story here. 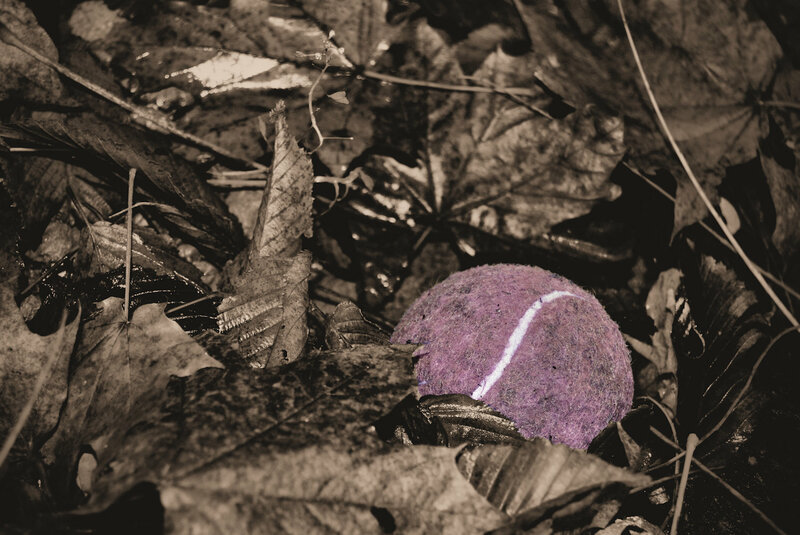 The story of the lost ball; or, the art of losing stuff. I feel like such a loudmouth for commenting so much. Anyway: I played tennis most of my life, but we never used pink balls. The tennis ball is such a familiar symbol of home to me. It’s neat that every tennis court is basically the exact same; the distances between all the lines is always exactly the same (unless there’s like cracks in the court and it’s rundown or what have you). So there’s no surprises. Sometimes the match seems to be intent with being lost as well! And that is no disaster–unless your dad is watching! Btw, where do you (and other people who do this sort of thing–not that I guess you would necessarily be able to answer for them?) find fitting poems like this? Or do you find a poem you like first, then build the story around it? A loudmouth? That’s a funny word! I enjoy comments though, so all’s good here! I must confess I cheated a bit. The tennis ball was indeed yellow to start with, but I didn’t like the colour, so I changed it up… So here you go, all’s the same, including the tennis ball. I don’t know how other people come up with fitting quotes and poems, for me it’s natural. I have a background in English literature, so often when I look at a picture, a half-remembered poem crops up. And when it doesn’t, whatever, I don’t care about being consistent. The best pictorial stories are the ones which provoke you to lead to so many emotions simultaneously.